Thrift store sweater embellished with reclaimed yarn, knit edging. The blue sweater was too short, i lengthened it by adding knit embellishment. Hand painted, dyed reclaimed yarn from thrifted sources, ie, old garments 100 % wool. 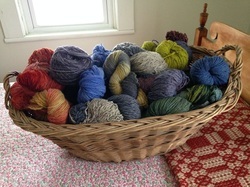 Inventory of reclaimed yarn from thrifted sources, 1005 wool. some hand dyed, other as found. 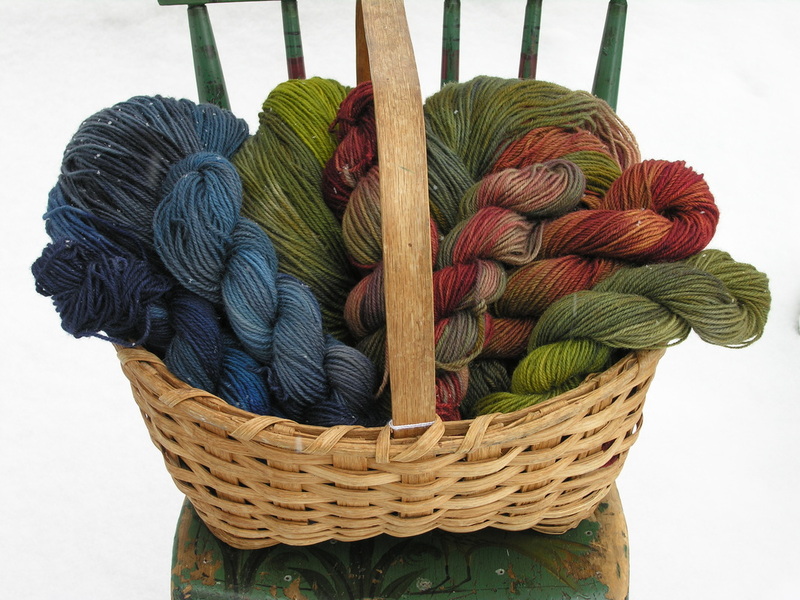 some in skeins, other wound into easy stack and self pull balls using ball winder. Same but different clog socks, low slung with a decorative edge. Hand made from reclaimed wool sweaters transformed. How I did it.